Mental Health is important, you’ve got to make sure you’re looking after yourself as well as others, social media can sometimes affect that in a negative and positive way. Everyone pretty much uses the internet and social media these days. Social media is a big part of our lives in modern society. We use to communicate, to inspire, to reach new people and friends. It is sometimes a positive place. 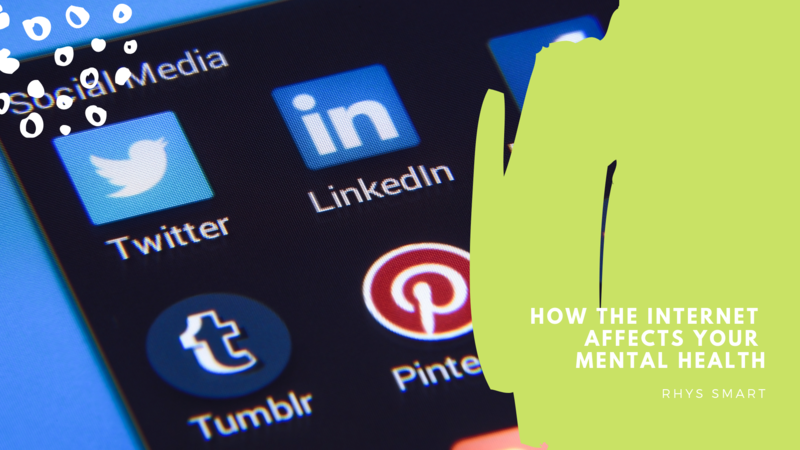 Social media though however, affects your mental health slightly it can cause you to become stressed or anxious. Social media can cause problems such as cyber-bullying, rudeness amongst other people. More and more young people are using the internet, It can be dangerous for young people who are not careful and young people’s data can also be collected wrongly. More than six in ten (64%) UK adults said they use social media on a weekly basis in 2016. Astonishingly, 99% of those between 16-24 years use social media once a week or more. What social media do you use? How often do you use it? Social media isn’t just all about negatives. It can also be such a positive place, people support others, you can meet new and interesting friends over the internet. I find it so much easier to find friends over the internet than I do in person. Social media sometimes affects my mental health that badly I have to come off it and chill and relax, but even when I decide not to use “social media” I’m watching YouTube instead procrastinating and contemplating what to do next. What's all the hype around VPNs? I'm a Mental Health and KPOP blogger from the UK, I also babble on a podcast called Mentally Obsessed which talks about current obsessions.